Sunil’s transformation from a comedian to a lead actor has been nothing short of astonishing. In Poola Rangadu he flexed his muscles and the six pack he sported in the film stunned a lot of people. Now, he’s coming up with a new romantic entertainer titled Mr.Pellikoduku. The film’s audio was launched last night in Annapurna Seven Acres studios. V V Vinayak, Naga Chaitanya and Tamannaah were some of the guests who graced the event. 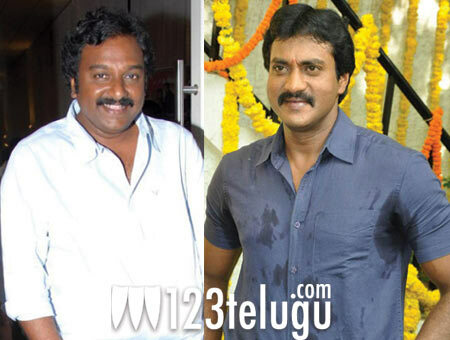 Talking about Sunil, V V Vinayak said, “If you had to give a shape to hard work, you can point out Sunil. He’s the best example for hard work. I can see how much he has struggled to get into this shape. Hatsoff to him” Both Naga Chaitanya and Tamannaah praised his dedication and said that he’s been a huge source of inspiration for them. Sunil and Isha Chawla have played the lead roles in Mr Pellikoduku. Devi Prasad has directed it and Paras Jain, NV Prasad are producing it. SA Rajkumar has scored the music.